Little details help to make a house feel like a home and often this comes in the form of unique pieces of homeware, like our brand-new Bubble collection. 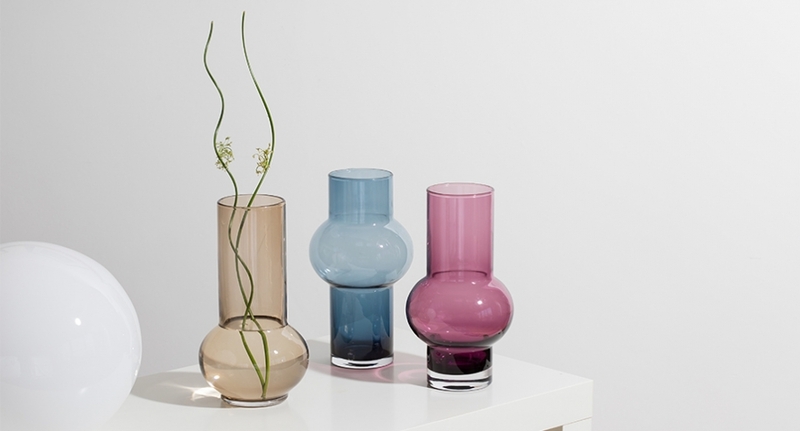 The Bubble Vase is brand-new for 2018, bringing a fresh vision to Dartington Crystal. Bubble has been inspired by strong retro shapes, combined with a fresh, contemporary colourway of sugar-sweet pastel shades. It features three slightly different designs and three pastel colours, heather, ink blue and topaz. It not only offers functionality as a vase but offers a sculptural statement when displayed together. The vessel lends itself perfectly to tall bouquets of bouncing blooms, but this design is perfect for adopting the ‘less is more’ approach. Add a few sprigs of eucalyptus for a look that whispers understated elegance. The collection has been designed in different colours and with a slightly different use of the ‘bubble’, allowing the collection to be displayed elegantly together with the use of shape complimenting each other. Choosing gifts can often be a difficult task but with Bubble, you can be sure it will be a big hit, especially with style conscious or flower-loving friends. Beat the rush and shop the Bubble Collection now. Bubble is the first design produced for Dartington Crystal by Gemma Leamy. 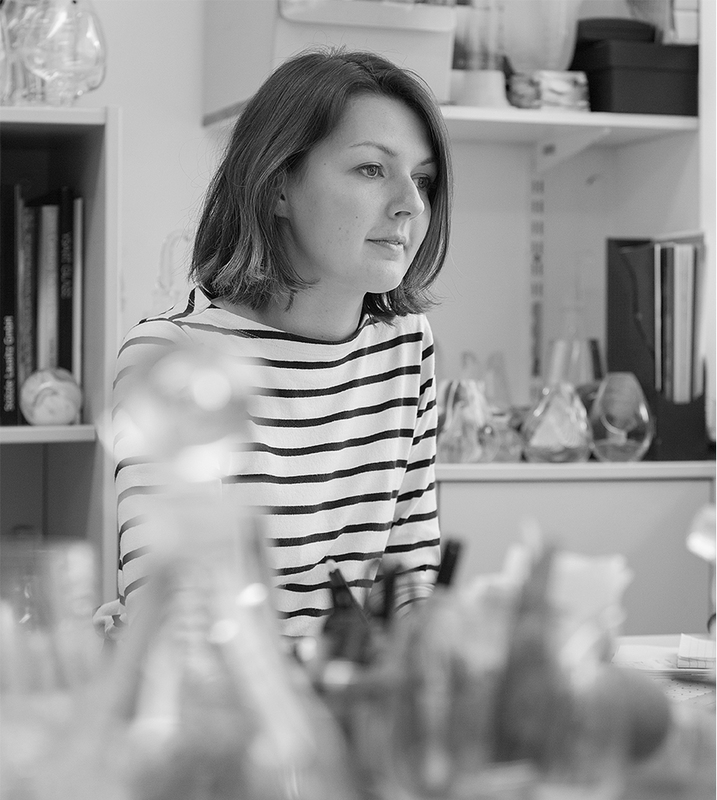 Gemma joined the team as Assistant Designer in 2017 when she graduated from Edinburgh College of Art with the Caithness Glass Masters Scholarship. Having spent time studying in Denmark, her love of Scandinavia design was strengthened, and she has gone on to receive several design awards. Gemma has bought her passion for traditional craftsmanship and beautiful design and now works alongside the highly skilled glassmakers in our factory. 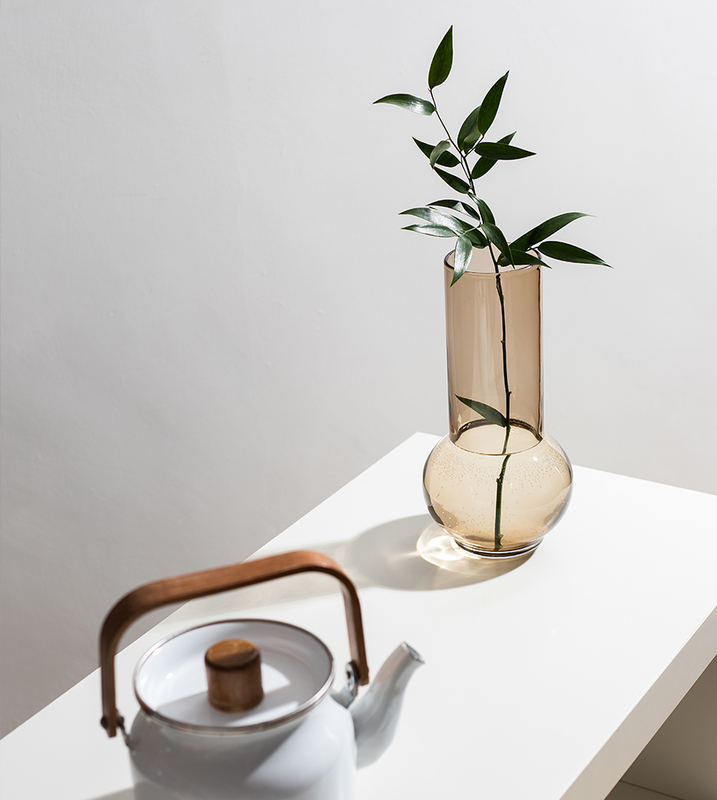 Shop the Bubble Collection or explore our whole range of homeware and vases. We would love to see how you use Bubble please tag us in your Instagram photos at @dartingtonuk using the #mydartington and we will share our favourites.